Many people consider the River Café to be the best restaurant in Brooklyn, and it is probably the most expensive. 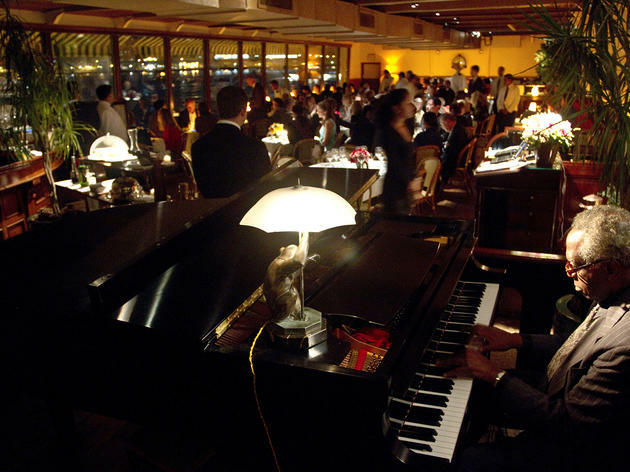 The romantic waterside eatery, which could easily skate by on its gorgeous views of downtown Manhattan, has spawned a long roster of great chefs, including Charlie Palmer (Aureole, Crimson & Rye), David Burke (David Burke Kitchen) and Rick Moonen (RM, Oceana). Stellar dishes include crisp oysters with smoked salmon and caviar, rack of lamb or lobster specials. For dessert, few can resist the chocolate marquise Brooklyn Bridge, shaped like its sparkling namesake. 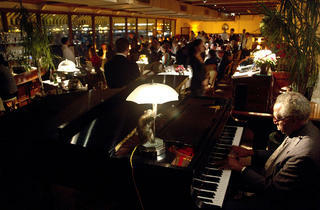 The River Cafe is a restaurant every New Yorker should go to at least once for some special occasion. From the moment you walk up the path, you feel like a star-struck tourist, looking at the glowing lights in the entrance and being welcomed with some of the best service in the industry. Request a seat by the window for an incredible view where you'll be in line with the river and in perfect range of the Brooklyn Bridge. The food is great, but the ambiance is better. I'll be back even if it is just to grab a drink at the bar with its live music.